Barbara Rigg trained as a Dietetic Intern in Auckland New Zealand and graduated in 1977. For the following 10 years she held a range of clinical and administrative positions at Auckland Hospital and North Shore Hospital. During the earlier part of this period she spent 18 months overseas, doing her “OE”, enjoying the adventures of being “foot-loose and fancy-free” traveling around and working casually throughout the UK and Europe. The latter four years in the public sector were as First Assistant Dietitian at North Shore Hospital where she was involved in the commissioning of the Nutrition Services Department. Upon returning to New Zealand from Australia, she decided to resume her career in dietetics. However this time with her business management skills, combining self-employment and the clinical aspects of dietetics she enjoyed so much, private practice seemed the logical career path to pursue. In January 1991 Barbara established her own private practice called “Diet Therapy Clinic”. It was originally located in Takapuna. Barbara also took up one year, half full time, lecturing position at AIT (Hotel and Restaurant Studies) while the practice grew. Within a few months the growth of Diet Therapy Clinic had “snow balled” to the extent that a colleague was appointed as a part time Associate Dietitian to help the workload. Nutrition Therapy Clinic has now been operating strongly since then and is located in Rosedale Road Albany, in the Apollo Medical Centre. It is a well established, successful and busy practice. Presently four other Dietitians and two graduate Nutritionists work at the Clinic, which operates six days a week and evenings. Patients are drawn from all over Auckland by GP and Medical Specialist referrals and from the general public. All aspects of clinical nutrition are dealt with on a one-to-one basis. Additional work out-side of Nutrition Therapy Clinic is also undertaken such as Rest Home and Private Hospital consultancy projects, lecturing, writing articles for various publications and the like. The success of Nutrition Therapy Clinic is attributable to a combination of Barbara’s single-minded determination to create a viable dietetic practice, to become self-employed and self-directed plus a firm belief in the value of what she was offering as a dietetic service for the community. The Associate Dietitians and Nutritionists at Nutrition Therapy Clinic also contribute enormously to the success of the practice with their professionalism and dedication. 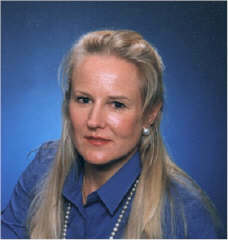 In June 2002, Barbara sold the clinic to Jan Edmonds. In order to provide greater focus on the clinical side of dietetics and to spend more quality time with her two young children.